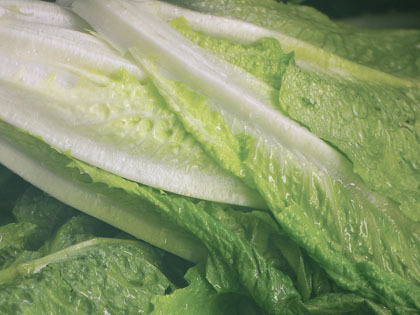 Harvesting your lettuce at the correct time is important for maximizing its flavor and texture. If you let your lettuce crop sit in the garden too long, it will increase in bitterness and the leaves will become tougher. 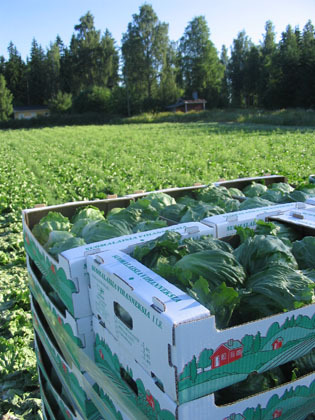 Lettuce is generally ready to harvest about 80 days after planting with seeds and about 60 days after using seedlings. If you grow romaine or butter leaf lettuce, you should first remove the outer leaves, then dig up the entire plant and cut it off at the base. This way, it’s possible to have a second crop. With leaf lettuce, simply remove the outer leaves and let the plant continue to grow. For crisphead lettuce, let the center reach full firmness before you harvest. My crop is slowing starting to bolt and I was wondering how long you can harvest lettuce after this process starts? When I cut the leaf lettuce white sap comes out.Is this harmful? Also does itmatter if the leaves are a little crispy? Thanks! When you see your lettuce plants bolting, they need to be harvested immediately. After the plant bolts, lettuce will be tough and bitter. Instead of pulling the lettuce plants out of the ground, you can let them finish their cycle and seed. Try harvesting the seeds instead of the lettuce if it’s too late. Bolting is when the lettuce shoots up a big tall stalk and tries to flower instead of growing lettuce leaves. It’s usually related to too much heat and/or sun. have already started 5 heads of iceberg lettuce and now I don’t know when to start picking the leaves,are you suppose to leave the head in the ground till it’s fully developed or what ?my leaves are now maybe 2 to 3 inches in height should I leave them alone or start picking them? Lars, I have been reading through the conversations, and have learned a lot. My very first lettuce crop ever is several weeks mature and is bolting. I used all loose leaf varieties, and have had great success. I am in the extreme southeastern corner of Georgia, and the heat is scorching. But still the lettuce has performed well. I am currently building trellises every 8 feet, in a perpendicular position in my garden, which is 8 x 42, and raised about 6 inches. My intention is to Attach shade fabric along the tops of the trellises, hoping for a longer season. By the end of June, most small gardens in south Georgia are crispy brown. I am trying to extend the window so that two or more plantings might be possible. For a number of years now, all small time gardening must be finished by the end of June because of the summer heat and sun. Wish me luck!!! !